San Diego, CA – Renova™ Therapeutics, a biopharmaceutical company developing gene therapy treatments for congestive heart failure and other chronic diseases, has hired Richard ‘Mac’ McCloskey, M.D., as Executive Vice President of Clinical Development. 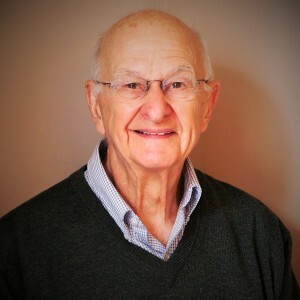 An author of more than 100 peer-reviewed papers and editorials as well as three books, Dr. McCloskey has led an illustrious career in medical research and clinical practice. He has directed registration trials for Hoffman LaRoche and Centocor and was, most recently, Vice President of Scientific Affairs at Johnson & Johnson Development Corporation as well as a scientific adviser to Endo Pharmaceuticals. As Executive Vice President of Clinical Development for Renova Therapeutics, Dr. McCloskey will be responsible for all clinical aspects of the company’s trials, including preparation of trial synopses and protocols, review and approval of case report systems and safety reporting, and drafting of clinical trial endpoints. He will also ensure Renova Therapeutics meets all regulatory requirements for clinical trial safety reporting, and, as needed, will present trial data to regulatory agencies. In this role, Dr. McCloskey will work closely with the Senior Vice President of Regulatory Affairs and Quality Assurance and will coordinate with the company’s expert consultants on statistical analysis, trial planning and conduct. His immediate focus will be on Renova Therapeutics’ lead investigational product RT-100, a single-dose gene therapy for the treatment of congestive heart failure, which recently completed a Phase 2 clinical trial. Dr. McCloskey received a master’s in microbiology and an M.D. from the University of Rochester and completed his medical training at Duke University and the National Institutes of Health. He has been on the faculty of the University of Texas, the University of Pennsylvania and Jefferson Medical College, and he is an emeritus fellow of the American College of Physicians and the Infectious Disease Society of America. His FDA-approved submissions include interferon, ceftriaxone, infliximab, abciximab, midazolam and injectable testosterone. He also contributed to the following as an academic clinical investigator: cefoxitin, thienamycin, cefotaxime, mezlocillin, ticarcillin, imipenem-cilastatin, cefmenoxime, amdinocillin, fleroxacin and ofloxacin.